The Indo-US nuclear deal is under threat! Terming the passing of the civil nuclear liability bill by the Parliament as 'flawed', two leading South Asia analysts have warned that this flawed legislation would cast a pall over the historic Indo-US civilian nuclear deal and eviscerate all the gains Prime Minister Manmohan Singh gained by signing this accord. He warned that "if the bill undermines the programme -- by preventing private suppliers, both Indian and foreign, from entering the Indian nuclear market -- it would eviscerate all the gains that the prime minister secured by signing the deal." 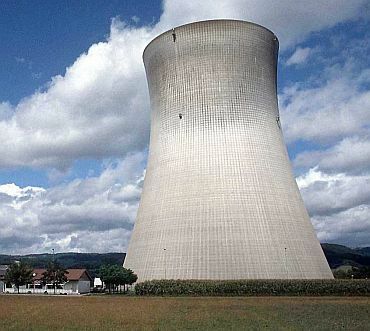 Tellis, now a Senior Associate at the Carnegie Endowment for International Peace -- a leading Washington think tank, said, "There are some in the Congress and the BJP who believe that the Indian nuclear market is so large that private suppliers would not risk the loss of revenue by sitting out -- even though they would bear unprecedented liability if they entered the Indian nuclear market under the current terms of the bill." He acknowledged that "if the bill's advocates turn out to be right in their estimate, India gets to, metaphorically, eat its nuclear cake and have it too. But if they are wrong, the prime minister will have suffered a major strategic reverse." "Unfortunately, the fact that has not been sufficiently appreciated is that the real consequences of the legislation will not be adjudicated by politicians, but by the market. Private suppliers, who will have to bear the risks, will make the final decisions about whether to enter the Indian nuclear market or not -- and the early signs are not at all encouraging," he added. Tellis noted, "The diversion of liability to suppliers and the extraordinarily lengthy duration of liability have caused great consternation among American companies -- this will likely deter them from playing any role in India's nuclear power programme." "But even worse," he added, "there are also political consequences. 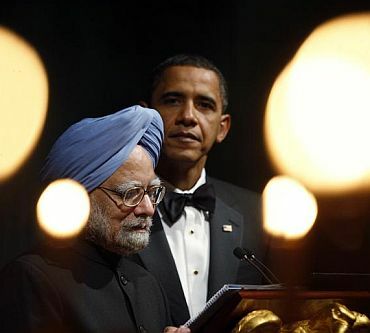 Both US industry and the Obama administration are upset that the Indian government has failed to deliver on its end after all the efforts made in Washington to complete the deal to India's satisfaction and despite early assurances given to the United States that the Indian legislation would be fully compliant with the Convention on Supplementary Compensation." Tellis said, "That this sentiment is strongly felt has obvious consequences for the transformation of the bilateral relationship. But to my mind the really tragic fact is that Dr Singh's dream of a vibrant Indian nuclear power sector may be frustrated just when it was on the cusp of being triumphantly realised." Lisa Curtis, senior fellow at the conservative Heritage Foundation, who directs its South Asia Programme, echoing Tellis's sentiments, said, "With India's legislative clock running down and President Obama's visit to India set for November, Washington had hoped the Indian government would pass this crucial legislation establishing an internationally compliant civil nuclear liability regime that would facilitate US investment in India's nuclear industry." But US policymakers and industrial leaders were "taken off guard" at the legislation that came out of Parliament, she said, because it retained "language inconsistent with international standards for engaging in nuclear commerce. 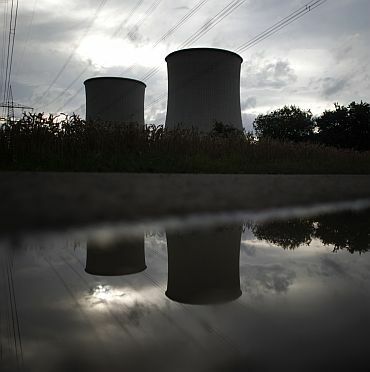 The law includes language that makes suppliers of equipment, raw materials, and services liable -- beyond the recourse already available through the courts -- for 80 years after the construction of a plant in the unlikely event of a nuclear accident." Curtis said that while both Indian and US business and industry have denounced and raised concerns over the legislation, "Most damning, India's own Nuclear Power Corporation of India has been scathing in its criticism, warning that 'no manufacturer, Indian or foreign, would be able to serve the nuclear power industry' under the provisions of this new law. She said, "This latest obstacle in the Indo-US nuclear deal is unfortunate, as it follows the successful completion of a Indo-US nuclear reprocessing agreement earlier this year, which granted India the right to reprocess spent nuclear fuel." Curtis pointed out that "India was able to secure significant concessions in the reprocessing accord, particularly by gaining approval to operate not just one but two reprocessing sites. Only countries in Europe and Japan have been able to negotiate this type of special arrangement with the US." "This liability law also follows a dust-up between the US and India over flawed US legislation passed in the US Congress a few weeks ago that directly targets Indian companies that bring highly skilled workers into the US," she said, referring to the provision, passed in the border security bill targeting illegal immigration in the US Congress that requires companies that hire a large number of highly skilled foreign workers to pay millions more in visa fees. 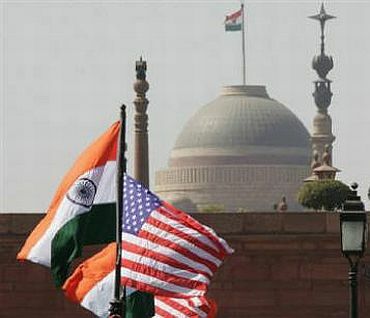 Curtis, however argued that "there is still an opportunity to find solutions to these issues before President Barack Obama visits India in November, but both sides will have to step up their engagement and find common ground on issues of mutual interest." "Fixing this issue in a prompt manner would help improve the atmospherics surrounding President Obama's upcoming visit," she said, and added, "Given the obstructive behavior on this issue by the BJP, it is easy to forget that it was the BJP-led government who first introduced the idea of Indo-US civil nuclear cooperation." Curtis acknowledged, "Domestic politics can impact foreign policy in any genuine democracy," but asserted that it is imperative that "Washington and New Delhi need to move past the recent irritants in the relationship caused by domestic politics in both countries so that this important bilateral partnership will continue to advance." 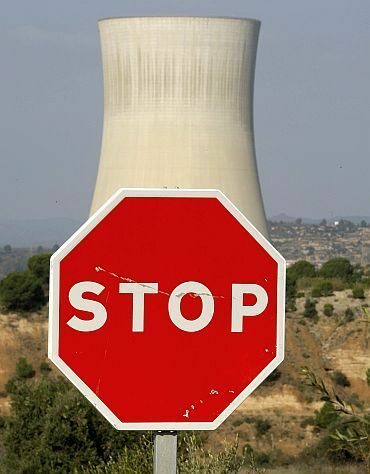 Nuclear energy, inevitable disaster: Worth it?